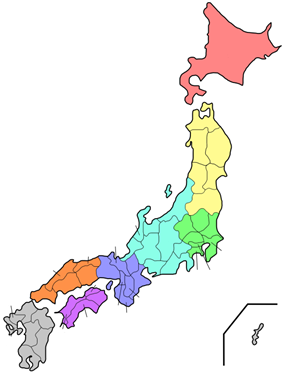 Chiba Prefecture was established on June 15, 1873 with the merger of Kisarazu Prefecture and Inba Prefecture. The 1923 Great Kantō earthquake caused widespread destruction in Chiba Prefecture, notably in the southernmost part of the Bōsō Peninsula, where 1,300 residents were killed. Areas of the prefecture adjacent to Tokyo saw much damage, and mob violence against Koreans and other ethnic minorities occurred in the chaos after the earthquake in Funabashi, Ichikawa, and other areas. Koreans in several neighborhoods of Yachiyo were killed, and a tower was erected in 1972 near Yachiyodai Station to memorialize those killed in the incident. 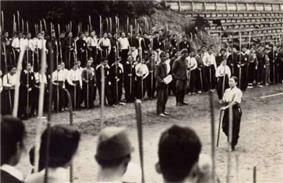 The militarization of Chiba Prefecture dates to the Russo-Japanese War (1904–1905). Coastal fortifications were built along Tokyo Bay as far south as Tateyama to protect the capital of the Japanese Empire from attack. 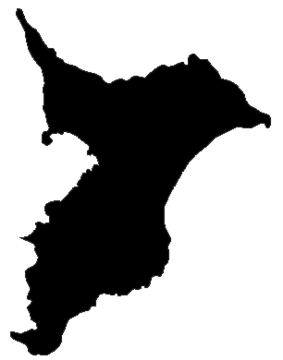 In the 1930s the north and central areas of the prefecture became a center of large-scale military production, and military bases and fortifications were constructed in most coastal areas of the prefecture. After the United States took control of Saipan the northern part of the prefecture, most notably the city of Chiba and Chōshi, were firebombed. 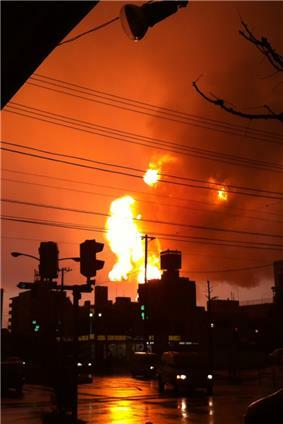 Much of the industrialized north of the prefecture was destroyed. Operation Coronet, one of two parts of Operation Downfall, was the planned land invasion of Tokyo in March 1946 by the United States. Coronet planned Kujūkuri Beach as one of two initial landing bases, the other being Hiratsuka via Sagami Bay. The U.S. First Army would enter at Kujūkuri, sweep across the Bōsō Peninsula, and meet the U.S. Eighth Army at Tokyo. After the atomic bombings of Hiroshima and Nagasaki but due to the surrender of Japan in 1945, the plan was never carried out. 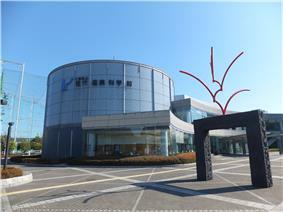 Chiba Prefecture is home to one of Japan's largest industrial areas. Prior to World War II manufacturing in the prefecture was centered on the brewing industry, specifically the production of soy sauce, sake and mirin sweet cooking sake. The manufacturing sector expanded greatly after the war. 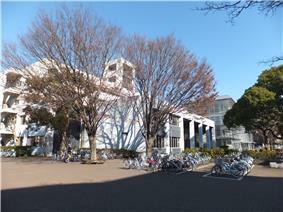 The prefecture was chosen as the site for a major Kawasaki Steel factory in 1950. In the same period the prefectural government embarked on a large-scale land reclamation program to dredge large plots of waterfront property. 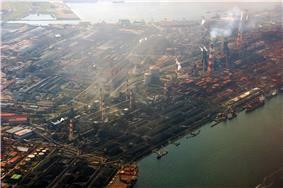 The large-scale construction of factories, warehouses, and docks on this reclaimed land around the Tokyo Bay area ultimately formed the Keiyō Industrial Zone. Chiba Prefecture is now 6th in Japan in industrial output with the bulk of the industry focued on the petroleum, chemical, and steel and machine industries. Together, these industries account for forty-five percent of the prefecture's exports. In recent years, the government has funded more than eighty industrial parks to bring development further inland as well. Certain local products, however, are grown in abundance and have resulted in several dishes unique to the areas. Peanuts, grown in great quantities in the prefecture, appear fresh in markets in the prefecture and are eaten boiled as a snack. Miso made from peanuts instead of soy beans is also produced in Chiba. Takenoko, whole bamboo shoot, are harvested in the central part of the Bōsō Peninsula. The takenoko of Ōtaki lack the concentration of arsenic typically found in uncooked bamboo shoots, and as such, are uniquely eaten raw in the area as "takenoko sashimi". Futomaki or futomakizushi, literally "fat roll", is a large version of the sushi roll. The futomaki popularly made in Chiba Prefecture is up to 4 inches in diameter. Futomaki in Chiba Prefecture often utilize various ingredients to form a pattern, such as a flower or a kanji character, when the roll is cut and served. ^ Nussbaum, Louis-Frédéric. (2005). 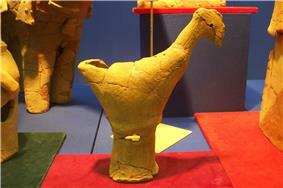 "Chiba-ken" in , p. 109Japan Encyclopedia, p. 109, at Google Books; "Kantō" in p. 479, p. 479, at Google Books. ^ Nussbaum, "Chiba" in p. 109, p. 109, at Google Books. ^ "千葉県の成立と行政的変遷". Nihon Rekishi Chimei Taikei (日本歴史地名大系) (in 日本語). Tokyo: Shogakukan. 2012. Retrieved 2012-04-01. ^ "Keiyō". Dijitaru daijisen (in 日本語). Tokyo: Shogakukan. 2012. Retrieved 2012-03-26. ^ 千葉県史料: 原始古代編 [Historical Materials on Chiba Prefecture: Prehistory and Ancient History] (in Japanese). Kazusa-no-Kuni. Chiba, Chiba Prefecture: Chiba Prefecture. 1963. ^ a b Chiba-ken Kōtō Gakkō Kyōiku Kenkyūkai. Rekishi Bukai. (1989). Chiba-ken no rekishi sanpo (千葉県の歴史散步) (in Japanese). Tokyo: Yamakawa Shuppansha. pp. 3–4. ^ Chiba-ken Kōtō Gakkō Kyōiku Kenkyūkai. Rekishi Bukai. (1989). Chiba-ken no rekishi sanpo (千葉県の歴史散步) (in Japanese). Tokyo: Yamakawa Shuppansha. p. 9. ^ Chiba-ken Kōtō Gakkō Kyōiku Kenkyūkai. Rekishi Bukai. (1989). Chiba-ken no rekishi sanpo (千葉県の歴史散步) (in Japanese). Tokyo: Yamakawa Shuppansha. p. 91. ^ Giangreco, D. M. (2011). Hell to Pay: Operation DOWNFALL and the Invasion of Japan, 1945-1947. New York: Naval Institute Press. pp. 169–170. ^ Fukue, Natsuko, "affected housing aLiquefaction driving away Chiba residents", Japan Times, 30 March 2012, p. 3. ^ "九十九里平野 (Kujūri Heino)". Dijitaru daijisen (in 日本語). Tokyo: Shogakukan. 2012. Retrieved 2012-04-09. ^ "Suigō-Tsukuba Kokutei Kōen (水郷筑波国定公園)". Nihon Daihyakka Zensho (Nipponika) (日本大百科全書(ニッポニカ) (in 日本語). Tokyo: Shogakukan. 2012. Retrieved 2012-04-09. ^ "Minami-Bōsō Kokutei Kōen (南房総国定公園)". Nihon Daihyakka Zensho (Nipponika) (日本大百科全書(ニッポニカ) (in Japanese). Tokyo: Shogakukan. 2012. Retrieved 2012-04-09. 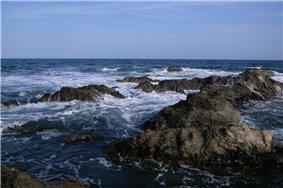 ^ 千葉県の自然公園一覧表 [List of Natural Parks of Chiba Prefecture] (in Japanese). Chiba Prefecture. Retrieved 26 April 2012. 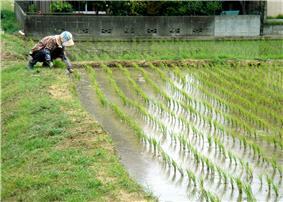 ^ a b c d "Trends in Japan: Chiba Offers Delicacies From Land And Sea". [Tokyo]: Web Japan. 4 December 2007. Retrieved 2012-04-26. ^ "Introduction to the Museum". Sakura, Chiba Prefecture, Japan: National Museum of Japanese History. 2012. Retrieved July 21, 2012. ^ Chiba-ken Kōtō Gakkō Kyōiku Kenkyūkai. Rekishi Bukai. (1989). Chiba-ken no rekishi sanpo (千葉県の歴史散步) (in Japanese). Tokyo: Yamakawa Shuppansha. p. 16. ^ "Sister-States and Cities". International Wisconsin. 2010-02-04. Archived from the original on 2010-02-04. Retrieved 2012-02-23. Anime (animation) representations include: Chikyū Bōei Kazoku (set in Funabashi), Battle Programmer Shirase (Narashino), My Teen Romantic Comedy SNAFU and Zegapain (Urayasu). 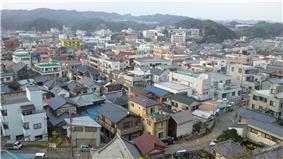 TV series representations include: Kisarazu Cat's Eye (set in Kisarazu), Mio Tsukushi (Chōshi), Beach Boys (filmed in Tateyama and Shirahama (now Minamiboso) and Yappari Neko ga Suki (Chiba).